Puerto Rico may NOT have to pay $72 billion, after all! In international law, an “odious debt” is an illegal debt that hurts an entire nation…and therefore does not have to be repaid. Many legal scholars have written that Puerto Rico’s $72 billion debt is “illegal and odious” and therefore should not be paid. But yesterday – on June 2, 2016 – this became more than a “legal theory,” when Gov. 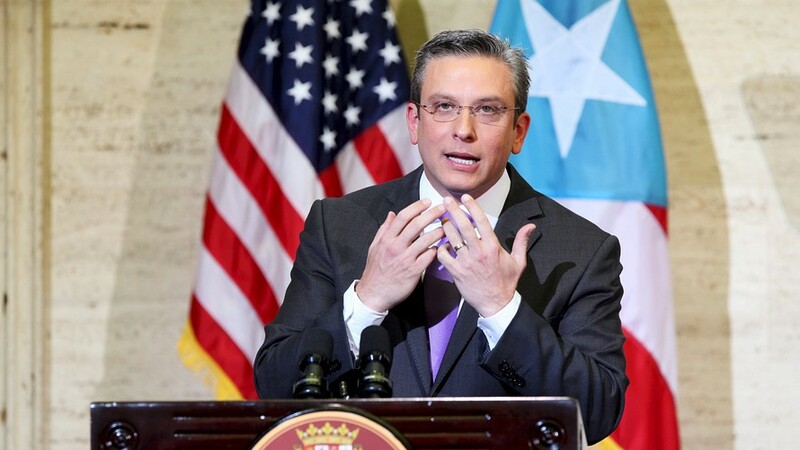 Garcia Padilla announced that much of Puerto Rico’s debt is “odious” and, quite possibly, will not be repaid. created a Ponzi scheme, whereby a continuous stream of bonds were used to cover only the interest payments on previous bonds. The PCCAC report examined $3 billion in PREPA bonds issued between 2009 and 2012, and found that 82% of the funds were used to merely make interest payments on prior PREPA bonds….even as electricity and water rates rose by 60% throughout the island. Here is another shocking figure: according to the PCCAC report, the odious debt of Puerto Rico may be as high as $30 billion…nearly 42% of Puerto Rico’s public debt! The odious debt doctrine has been applied in Iraq, Ireland, Ecuador and Greece. Russia, Poland, Austria, Ethiopia, and Costa Rica successfully invoked it, as well. After the Spanish-American War, even the United States declared that Cuba’s debt to Spain was “odious and abusive” …and therefore Cuba did not have to pay it, and the US did not indemnify Spain for the non-payment. In 2006, in the US Congress, Rep. Maxine Waters introduced a bill declaring Haiti’s debt to the IMF as “odious,” and received 66 congressional co-sponsors for the bill. With all this international precedent for “odious debt,” including precedents set by our own government for Cuba, our Congress for Haiti, and our financial press for Detroit, there is no reason (other than racism and / or colonialism) for denying it to Puerto Rico. Now that the PCCAC report has been released, the analysis and judicial review of Puerto Rico’s “odious debt” conditions should proceed with great urgency. They should occur before a Financial Control Board assumes complete and exclusive jurisdiction over the debt resolution process for the entire island. Congressman Luís Gutierrez should use the PCCAC report to introduce an immediate amendment to the PROMESA bill (HR 5278), which would enjoin the debt resolution process for any bonds that show “odious debt” characteristics…until the odious debt determination can be made, by a court of competent international jurisdiction. If this is not done immediately and the Control Board assumes exclusive and binding jurisdiction, then Puerto Rico may lose a powerful tool for annulling illegal debts which are crushing the island, and endangering its residents. These odious debts may comprise up to $30 billion of the island’s debt. This figure is too large to ignore, but action must be taken very quickly…immediately. Odious debt will only amount to $30 Billion off the top. We still have the Jones Act that gives Puerto Rico As Written LIMITED AUTONOMY. So goes the American Revolution Saying: Give Me Liberty Or Give Me Death! Con mucho respeto yo no se nada de Política ni tampoco de como el gobierno de Puerto Rico están asiendo para echar a Puerto Rico pa lante. Pero la voz de nuestra gente es importante escuchar como cuando votamos en dia de la elecciones. Yo tengo una pregunta Puerto Rico tienen 77 alcalde para 77 pueblos porque tanto cuando pueden hacer cortes y que un alcalde corra cuatro pueblos para que puedan usar el dinero para empleados porque ay gente que necesita trabajo o por lo meno usuar el dinero para ayudar a Puerto Rico en la agricultura para independecarse y no tener que comprar productos de otros pais porque ejos se están beneficiando cuando nosotros le compramos sus productos de comida. También Puerto Rico tiene que tener en consideración no vender sus productos tan caro cuando se tratra de su gente aquí dentro de Puerto Rico. Pero cuando se trata de otro países entonces podermos vender un poquito más para invertir y crecer para un futuro mejor. Pero tenemos que estar de acuerdo todos. Bottom line Puerto Ricans needs to stop voting and take back our pride! True, but If PR doesn’t pay the debt it wont have access to more credit. Wall street vultures. .r worse than terrorists. .jones act is part of terrorism. .along with colonialism. ..
Read it and most definitely believe that America and The Obama Administration is not out in the best interest of Puerto Rico, and needs to cut ties effective immediately. If PROMESA is elected by the US government and imposed upon the Puerto Rican people, the findings of this board of auditors will be buried and ignored. There is no legal commitment for Puerto Rico to actually follow thru with findings and recommendations from this audit board, unlike PROMESA’s fiscal control board (FCB). Recent studies poll Puerto Ricans being more confident of US structures than PR’s (http://www.elnuevodia.com/noticias/locales/nota/desconfianlosboricuasensusinstituciones-2201574/), even though their US counterparts don’t trust those same institutions (haha!). Call it colonial brainwashing, “pitiyanquismo”, the result of 118 years of colonialism, death and persecution to Puerto Rican freedom fighters and political parties, but time after time after time I get the same damn answers on social media and in life interactions. Now, I can assure you that 9.99 out of 10 people here have not read more than one line out of any FCB proyects or PROMESA. So they support something they have not seen, read, known, etc. They support the FCB because they’re tired of Puerto Rico’s government, even though the electorate in Puerto Rico elect their own officials to office. They do not find a connection between our current ten-year depression and the fact that Congress eliminated in 1996 section 936 tax code, representing 61.5% of Puerto Rico’s economy (https://dl.dropboxusercontent.com/u/26200195/La%20gran%20estocada%20-%20Carlos%20Garcia.pdf). That, plus taking out Puerto Rico from Chapter 9 back in ’84, put the nails in flesh onto the cross. This is a colony utterly dependent to the United States because of it’s colonial totalitarian rule. The self-government mask has been taken off, and they have left us with the intent of a seven member board representing the best Wall Street has to offer to take apart whatever self-governance and monies Puerto Rico possessed to get out of this mess – or to at least survive it. Whomever blames solely Puerto Rico for this is ignorant of history and facts. Remember, you were a colony too, USA: you fought a war to get out of this mess Puerto Rico is in right now. I always had the impression that a huge part of the debt was illegal. But, the politicians prefer to called it “extra constitutional” to hide its illegality status. This proves that when political leaders wants something, no one is capable to deny them their “requests”. But, I have NO hope to believe that this changes the leadership structure of authority. Now, putting myself in the bond-holder’s place, I would be preparing to submitt fraud charges against all past government officials envolved in this scheme. Because, that is what it is, an organized fraud scheme. “ODIOUS DEBT” … here’s hoping!! To my understanding PREPA was just pulling a Bernie Madoff scheme, borrowing from A to give to B, then borrowing from C to give to D,then borrowing from E to give to F and so on. In the mean time their borrowing debt just kept getting higher. And everybody from PREPA, investment firms, banks, credit houses, consulting engineers all knew where they were going. Then came the Vulture funds committee and it was over. The vulture fund committee gets to devour the people of Puerto Rico knowing what PREPA Was doing to the people. As Jay Fonseca would say Banqueta Total. My recommendation is they should all be locked up. F.B.I. Where are you?? ?